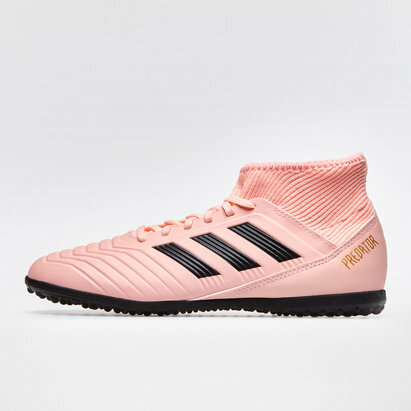 One of the most iconic names in the game has finally been recreated, a trainer which pays homage to a boot that once carved a legacy in the football world, at the forefront of innovation and tech, it's time for a new chapter with the adidas Predator Tango 18.3 Indoor Kids Football Trainers in Clear Orange, Clear Orange and Trace Pink. 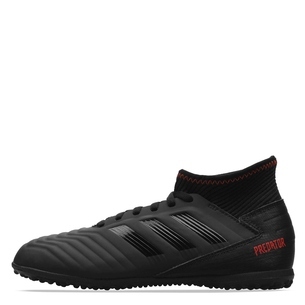 This adidas Predator is part of the Spectral Mode pack which features a collection of stylish, pale boots. All adidas Spectral Mode boots apart from the Copa will be worn by adidas' best players on the pitch from mid-September. This collection of boot features pastel coloured boots to stand out from previous collections. These indoor football trainers are for those players who are the master of control, they're built for superior lockdown so you can dictate the game. 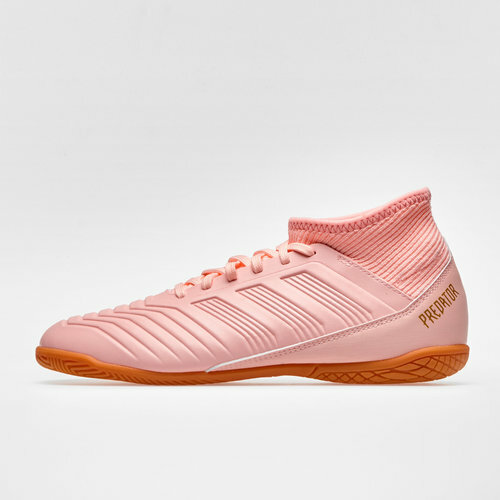 This Predator features a coated mesh upper for a sock-like fit while the control embossing on the forefoot offers a superior feel on the ball. The non-marking rubber outsole is designed to amplify your rotation and traction on the hard indoor court surfaces. Own every second, create with precision, lace up and master control.